1. ...but it happened. The admission of soil carbon into the Kyoto compulsory compliance market. 2. ...but it happened. It is no longer necessary to understand spacial variability in soil to calculate carbon accounts. CSIRO has developed a statistical method that enables the sample to 'embody' the variation. 3. ...but it happened. 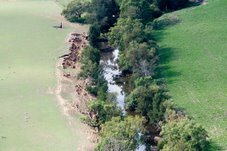 Research reveals that much higher soil carbon scores could be possible and we might have to redefine the “potential” of Australian soils. The shock finding of the $24m Soil Carbon Research Program was that the top performers – usually drafted out as outliers because they skew results – reveal that it's the farmer, not the farming system that makes the soil carbon grow. 4. 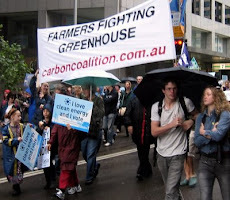 The CSIRO agreed to Partner with Carbon Farmers of Australia in a submission for funding in the Action On The Ground Round Two. 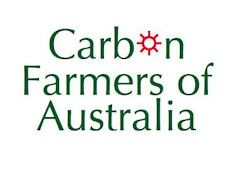 Our Project - titled "CSIRO and Carbon Farmers on Soil Carbon: Removing the Blinkers and Learning Together". Major-General The Hon. 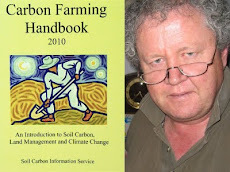 Michael Jeffrey's Soils For Life are also partners. We will study the 'outliers' - a total of 45 soil carbon's 'top performers' - and we will study the implementation of major innovations such as exhaust carbon burial, inoculation with native soil microbial communities, and biochar/compost/nutrients pelletised. 5. 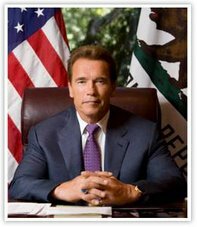 The Department has finally put the foot to the floor. The Soil Carbon Reference Group had a day’s briefing with the Department on 17 May 2013 and have another day scheduled next month to debrief the Department. They are listening. It's happening.